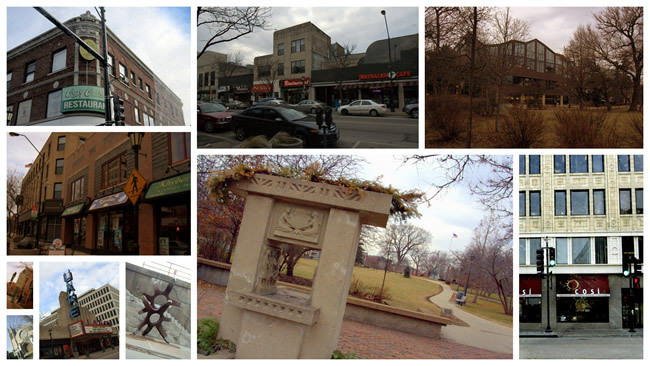 Oak Park is not your typical suburb! Minutes from Chicago, but miles from the ordinary, Oak Park offers many award winning restaurants, beautiful parks, shopping, and things to do. Located in the heart of Oak Park, The Write Inn is directly across the street from Scoville Park, which offers many places to sit for picnics or outdoor relaxation and tennis courts for more active visitors. In addition to Oak Park’s fine cultural heritage, visitors will be enchanted with award winning restaurants located just minutes from the hotel’s front door and the nightlife that abounds. Hemmingway's Bistro, located inside The Write Inn features the award winning food of Chef Christopher C. Ala and the charming atmosphere of a French bistro. Additionally, there are numerous restaurants just steps away, such as Papaspiros Greek Taverna and the Pasta Shoppe. Oak Park has it all: Fine dining, relaxed cafes, quick bites, even a place to get a world famous Vienna Beef Chicago Dog. Simply walk out our front door and you are there!